Data space and storage is one of the most common issues faced by tech users these days. The root cause is essentially the same regardless of the device used and that is not having sufficient storage space for the digital data you want to be saved on your device for future use or for simple safekeeping. Whether it is a memento or an important document you want readily available when you need it, you want easy access to it and at the same time ensure that nothing bad will happen to it in between. While the rest of the world is probably Windows users, Mac users find it more challenging to take care of their precious data because of differing hardware specifications from what the majority uses. This was a chronic problem faced by Mac users since Mac computers lacked Disk Cleanup for a convenient way of freeing up space on your Mac that is already a staple in most Windows PCs but this issue has long since been solved when Apple launched their macOS Sierra system. Managing your data is easier now and Mac users can just simply go to the Storage Tab on the “About This Mac” from the Apple Menu. You can easily see the available storage space on your device from there as well as options on how to get rid of old files before you face problems that are outlined here: https://www.harddrivefailurerecovery.net/mac-hard-drive-recovery/ . Enabling the Optimize Storage feature dumps iTunes videos you have already watched, but you can download them again later. The setting also changes the Mail program’s behavior regarding file attachments to retrieve only recent files — or only those that came with messages you have opened. Using the Reduce Clutter feature is another way to find big files hogging drive space and remove them. To see what the Mac considers “clutter,” click the Review Files button and go through the lists of files deemed large, old or unnecessary. Click the X next to each file to delete it. Whether they are pictures, videos, or document files, you can easily choose which ones to save in the cloud or disposed of in the trash. Unfortunately, you also have to take care of data storage even up in the cloud because you may have to buy more if your data is far more than what your iCloud can store. But first, you have to ensure that your mac is running on the latest software update that carries this new and better storage management feature. If you aren’t, then you may have to do things manually and check out your files one by one to determine which are for keeps and not. 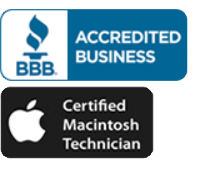 You can also make your life even easier by buying a clean-up software or give one like CleanMyMac 3 for a free trial or use Dr. Cleaner that already comes with your upgraded system version. These tips can come in handy when faced with a digital dilemma like that involving storage space because we just got to admit it now that this is our new reality. The world has drastically changed and it is all about digital data now. And we aren’t just talking about the ones you have on your laptop or PC but also the ones you have saved on your mobile gadgets like smartphones and tablets. Older gadgets have lower storage space compared to newer models and that creates a big disparity and a headache for some. People love taking pictures now also and save everything on their gadgets as well as download songs, videos, games, apps, etc. to keep everyone entertained 24/7. 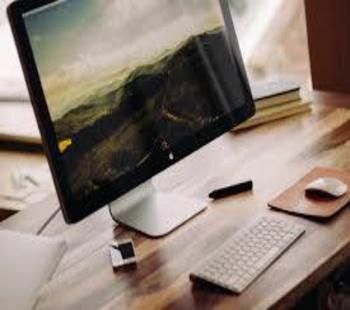 If you are clueless on how to approach your mac data dilemma, don’t hesitate to contact pros and you may also even learn a tip or two regarding data storage and recovery https://www.harddrivefailurerecovery.net/mac-data-recovery/.